professionalism and poise one would expect of someone twice her age, it becomes clear that Ms. Rithy – who prefers to be called ‘YoKi’ – is not your regular student. Last year, at age 21, she founded Plerng Kob, a group of local university students drawn together by their love of art, and passion to reignite an interest in traditional art forms among younger generations. The major avenue through which they achieve this is the revival of the annual Bonn Phum, an ancient village festival traditionally held prior to Khmer New Year. As a natural progression of this concept, YoKi and the Plerng Kob team realised that one of the most effective ways to present traditional arts and culture was through a festival. Rather than create an entirely unique celebration, the group instead decided to revive what was once one of the most important village festivals in the Kingdom, Bonn Phum, adapting it with subtle additions to appeal to younger audiences in an urban setting. While recognising that the addition of a certain amount of modern elements were essential in engaging and inspiring a younger crowd, YoKi emphasises the importance of retaining the authenticity of the ancient festival customs as much as possible. With a turnout of around 10,000 people over the three-day event last year, YoKi expects numbers to increase further this April, with a greater focus on attracting international attendees. 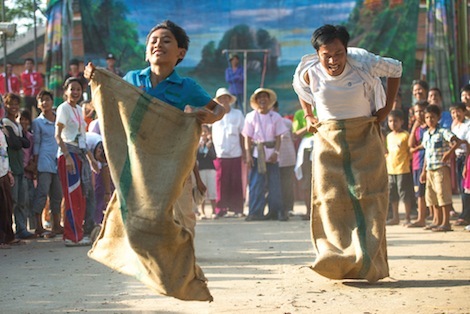 With a range of traditional games and performances, a guided tour would seem a favourable option for city-dwellers – both foreigners and locals. 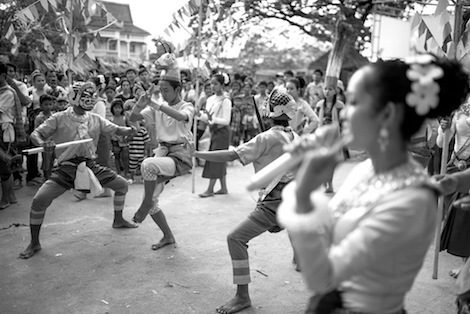 Many of the traditional performances and activities will never have been seen before by many local urban youth, after having been forgotten for decades in the aftermath of the Khmer Rouge. 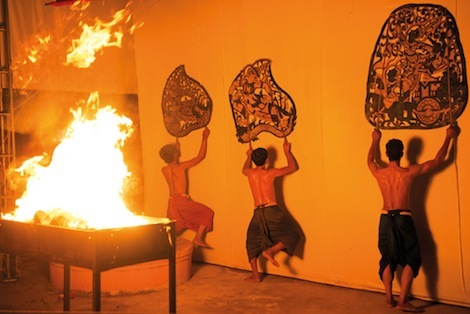 Activities are spread over a schedule which runs through both day and night, with nightly events showcasing the main traditional performances. The first night begins with bassac, a colourful pantomime, which YoKi likens to a hybrid of soap opera and comedy theatre, in which performers dress in very thick make-up representing regular characters such as the monkey or the giant. Traditional yike singing is scheduled for the second night, while the lakhon khol – a masked dance performance – and a shadow performance wrap up the third night. Although the festival is heavily performance-based, YoKi emphasises the importance of crowd participation at the festival, particularly during daily workshops and traditional games. Although Plerng Kob itself remains proudly not for profit, YoKi insists that one of the central aims of Bonn Phum is to ensure all artists and performers are paid for their services during the festival. With each year, YoKi and the Plerng Kob team plan to expand the Bonn Phum village festival, incorporating more performances and activities, and hopefully bringing it to more cities and provinces across the Kingdom. Comprised of a diversely talented team of young students, Plerng Kob uses the period between organising the annual Bonn Phum festival to continue working on smaller creative endeavours, gathering funding and providing support to young artists who wish to carry out individual projects of their own throughout the year. Plerng Kob runs from Fri-Sun April 3-5, from 7am-10pm daily at Prek Thloeng Pagoda. Entry is free. The Advisor is Phnom Penh’s leading arts and entertainment newspaper. Published weekly and delivered to almost 600 locations throughout the capital, The Advisor covers and uncovers art, music, theatre, books, food and drink with style, grace and attitude.